The God of the Bible often speaks in poetry. Beginning with an illuminating exploration of eloquence in the divine voice, a highly acclaimed professor of literature opens up the treasury of biblical tradition among English poets both past and present, showing them to be well attuned not only to Scripture's meaning but also to its music. 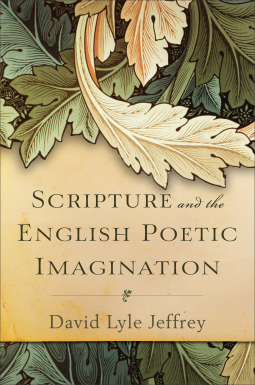 In exploring the work of various poets, David Lyle Jeffrey demonstrates how the poetry of the Bible affords a register of understanding in which the beauty of Holy Scripture deepens meditation on its truth and is indeed a vital part of that truth. "The fact that God speaks poetry when the issues are most weighty suggests that appreciating his poetry might be an essential element in our knowledge of God' that is, we should understand his as a poet—the originary Poet—the One who writes the world." Jeffrey has crafted a book that eloquently shows the reader that Scripture communicates on a deeper level than simply conveying propositional truth; God speaks Truth in his Word using imagery, metaphor, and a vast array of imaginative and evocative literary tools. Jeffrey examines the effect that the poetic nature of Scripture has had on specifically English poetry, prior to and following the Reformation. Through an in-depth view of Dante, Herbert, Donne, Rossetti, Wilbur and several others, the author covers topics including poetry in preaching, meditation and gratitude, and even on a deeper level at the nature of poetry, such as irony and inflection. This book will interest not only those lovers of English poetry, but also those who are seeking to understand the function of different literary forms in Scripture. I found this fascinating in conjunct with a Lenten poetry guide that I've been reading, as it elucidated some of the beauty of God's own poetic nature. I found it intriguing enough to maintain the interest of a scholar, but also accessible for a new student of poetry or a layperson.